It’s Time! Detroit’s here and we’ve got all the “Great 8” shots up and ready for you to pick a favorite. This year, they let us know a little earlier who the greats were, a rough job since I heard there were upwards of 50 cars in contention. Look for a great post coming soon of, “Shoulda-been’s” or just bad-to-the-bone rides that somehow weren’t selected as Ridler finalists. 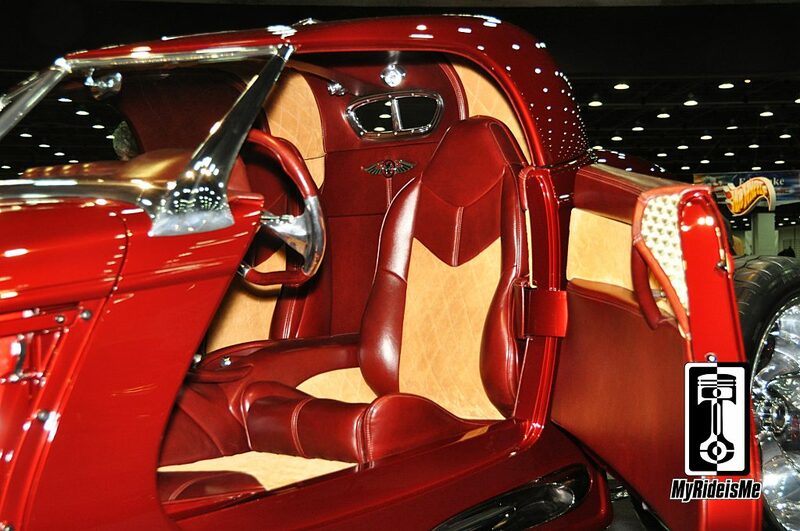 2014 -Ridler Award “Great 8” Contenders? Devil in the Details: For each owner or builder, I asked: “What trick detail are you especially proud of that somebody might walk right by?” Hear what they said and enjoy the pictures to go with. As usual, click on any pictures, even the thumbnails, to see them full size. 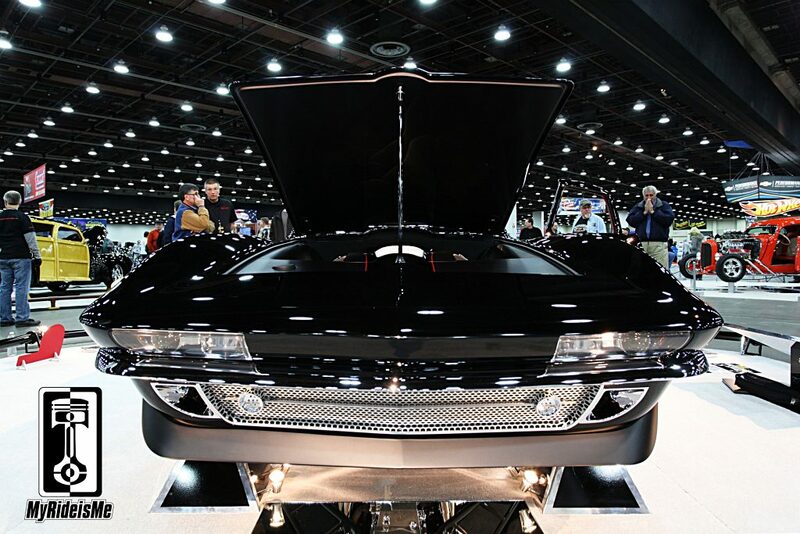 Special thanks to Chris Voyles for his photo-help with all of MyRideisMe.com’s shot’s from Detroit Autorama. Also, thanks to our friends at Auto Meter, our sponsor for this show. 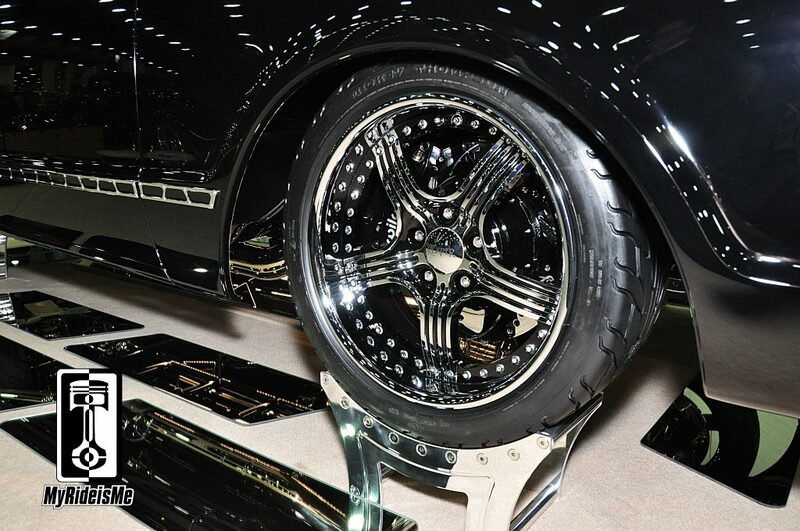 Trick Detail: Owner Ron says, “It’s a shame this car isn’t displayed upside down!” Custom feature abound underneath. Custom oil pan, trans pan, heck, even a custom bellhousing. The blown flathead’s mated to a Tremec 6 speed using what used to be a giant block of aluminum CNC’d to fit. 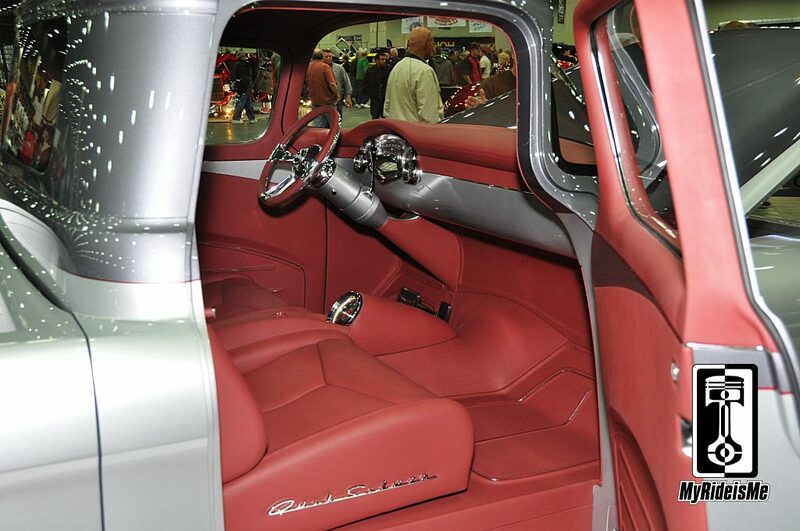 Also underneath, they used a two-tone paint job of flat and gloss that’s pinstriped where they meet. The mirrors just don’t do it justice. Next up is a 1956 Buick from Rad Rides by Troy that’s redefining TRICK! But, who knew? You, me and the huge crowd at the show are all missing the trick details Troy, his crew and owner Mark and Ellen Willman of Blue Grass, IA put together. Here’s a clue: It’s in the Pro-Touring category. Trick Detail: This one’s easy, but it was hard to pick only one detail. Troy Trepanier told me without hesitation, it’s the engine. In the engine picture above, can you see the twin turbos? I didn’t think so! And yes, that’s a real 401 Buick Nailhead, but now it’s a twin turbo’d, dry sump, electronic fuel injected bad-boy that’s every bit as trick as the engines running in the Bonneville cars Troy’s made. You could argue more so since nobody makes go-fast parts like these for a 401 Buick. 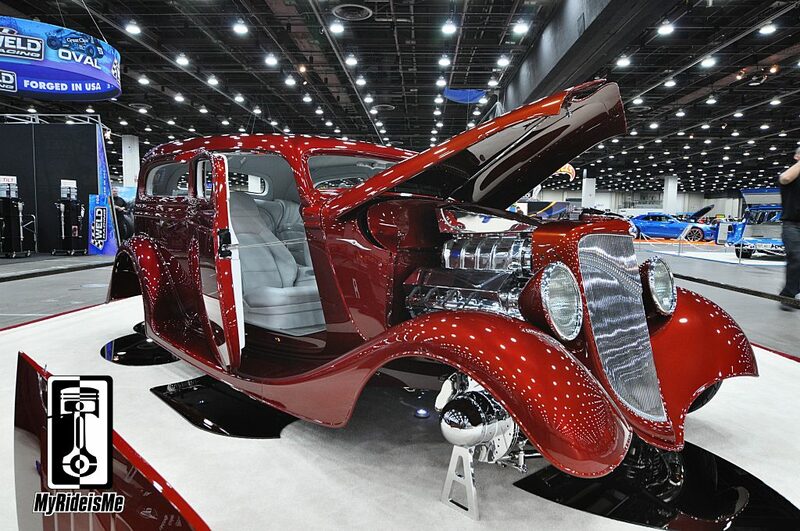 Up next is a pair of 1934 Ford hot rods and guess what? This one’s from the great state of Arizona, like me! Owned by Kenny and Lynn Seresun of Sedona, AZ and built by Bobby Anderson. When I say built, I mean, Bobby did everything! Trick Detail: I spoke with Bobby and he pointed out something I totally missed: The headlights. 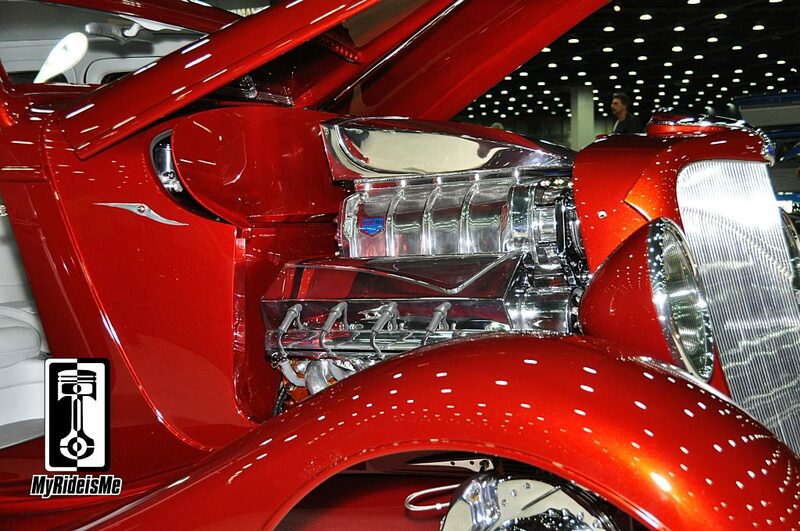 You can see the oval shape of the headlights, but they started as original 1934 headlights. From there, Bobby handcrafted everything except the cut then polished Target-bought stainless steel bowl hidden inside! The fluted glass for the lens is hand cut, which Bobby laughingly admits wasn’t easy (“I broke a few”) and the bezel is one, hand made piece. Not CNC’d… Bobby cut it, shaped it, then polished it all by hand. Bobby built everything, which may be the most amazing thing about this car. 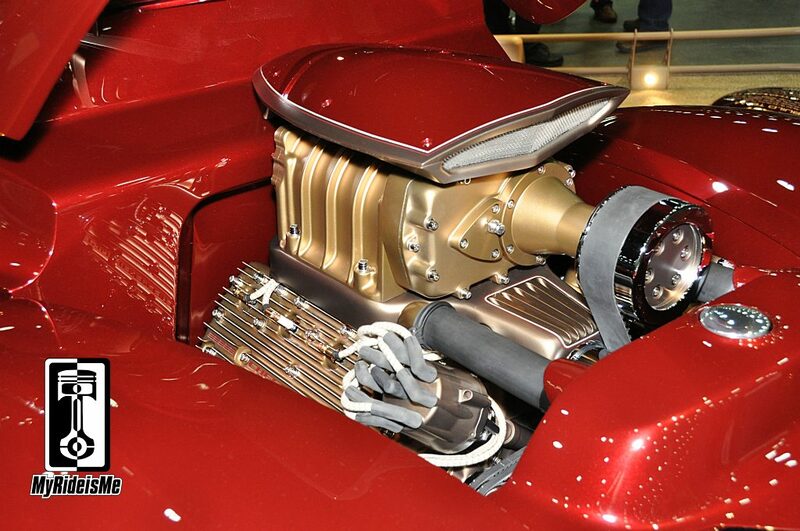 He said, “Well, I bought the blower…” Everything else Bobby did, including the paint, upholstery and engine building. That’s truly rare! This hot rod’s made in New York City! Owner and designer Christian Harker’s from NY, NY where his 427 Ford powered coupe might stand out a little among the yellow cabs? Trick Detail: I talked to builder Brian Mosbek. His job? He builds whatever Christian wants in Blaine, MN. Lucky! Brian wanted me to see how the independent front suspension uses struts. 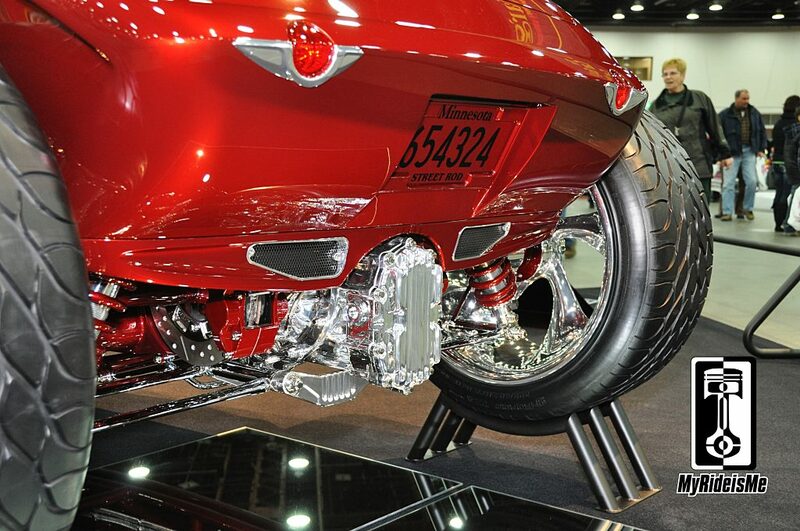 Most hot rods get a straight axle, or at least double A-arms. Brian went a different route and threw down 150 miles (and abused a set of tires) making sure this coupe moves and stops the way it should before tearing it apart for paint and chrome. Brian’s not one for waiting til the last minute either. The car’s been done for a few months just waiting for it’s debut in Detroit. That musta been a hard secret to keep (in the garage)! 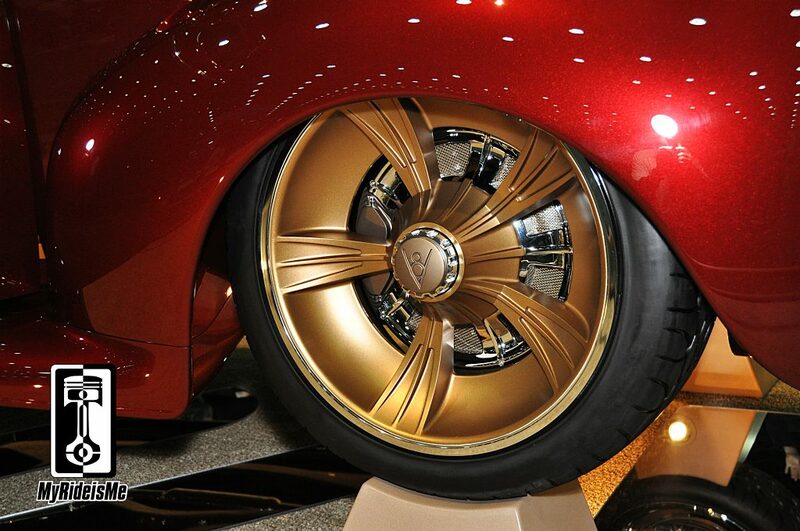 Can a truck win the Ridler Award? As a fifteen year drag boat racer and former Pro-mod driver, Buddy likes power, so his pickup’s got 468 cubic inches of 8-71 blown, 800 horsepower Chevy under the hood… Then he called on his custom bike building days to go over the top with his Chevy truck. Trick Detail: The entire front! When I first asked Buddy what’s the coolest trick on the truck, he pointed out how the cab meets the bed. Yea, that’s neat buddy, I wouldn’t have seen that, but then he goes on to tell me how the fenders, cowl, core support, grille and bumper are all one piece! Sprayed in unforgiving black, the bumper was cut into more than 20 pieces then painstakingly fit back together to mold perfectly into the rest of the front end. Only the one-of-a-kind polished grille inserts are separate. This is one bad truck! Trick Detail: How about 10 billion modifications (give or take)? Alan says the only part of the original Corvette not changed is the roof panel. In his eyes, their trick was to build an “Understated and elegant car.” The Mild Sports classification was a nod to the understated, don’t-cha think? 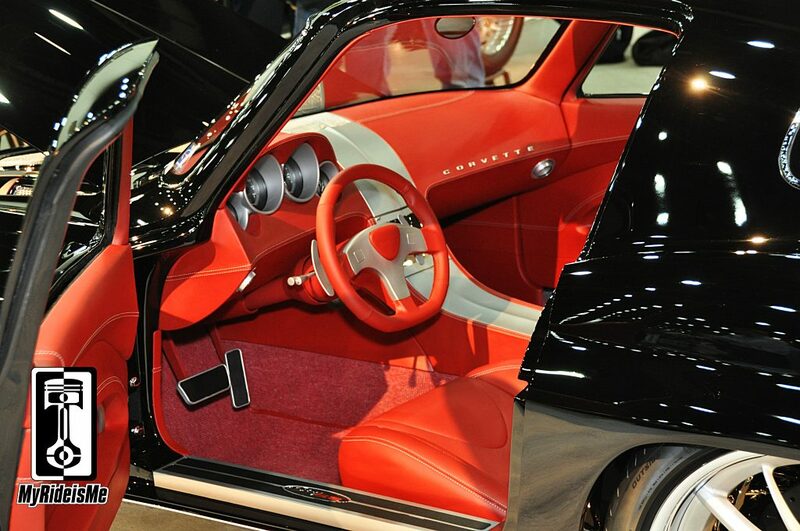 Alan tried, and succeeded in integrating a mid-year Corvette with European sports car styling. The front end’s his favorite with Ferrari-like sleekness. Could you argue their C2/SS is a Corvette like never before? If so, give him the Ridler. 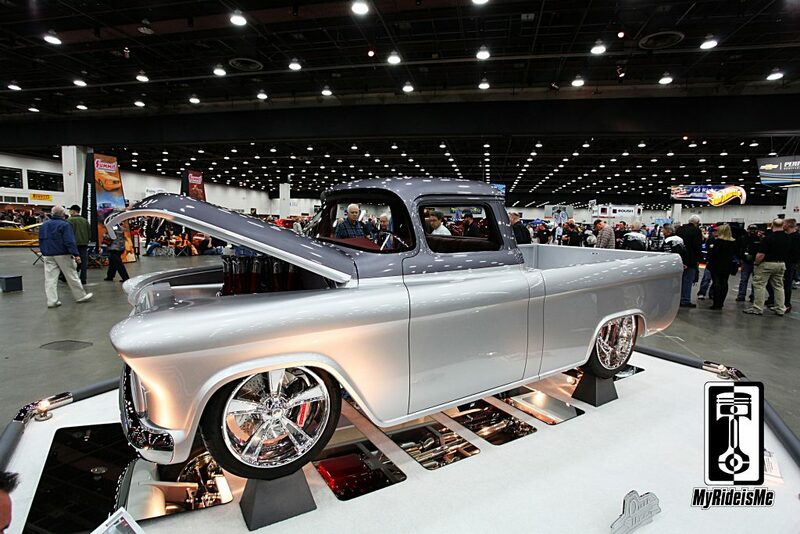 And then there were two trucks competing for the Ridler Award. Alan Beers of Owasso, OK brought his Jason Smith built 1957 Chevy and he’s a serious contender. Trick Detail: Jason and Alan both helped point out the subtle trick you might miss if you didn’t spend some time checking out the truck. Or maybe the Crower – converted to electronic – injection making 650 HP from a 540 cubic inch big block Chevy distracted you? 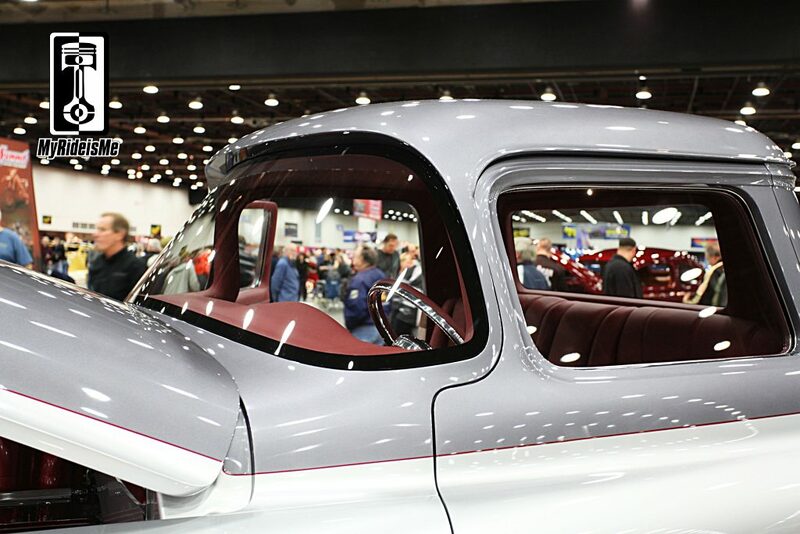 Check out the flush mounted windshield. Luckily the owner was pleased because Jason spent 3-4 months making the custom made glass fit just right. They both added the bed was trick too. 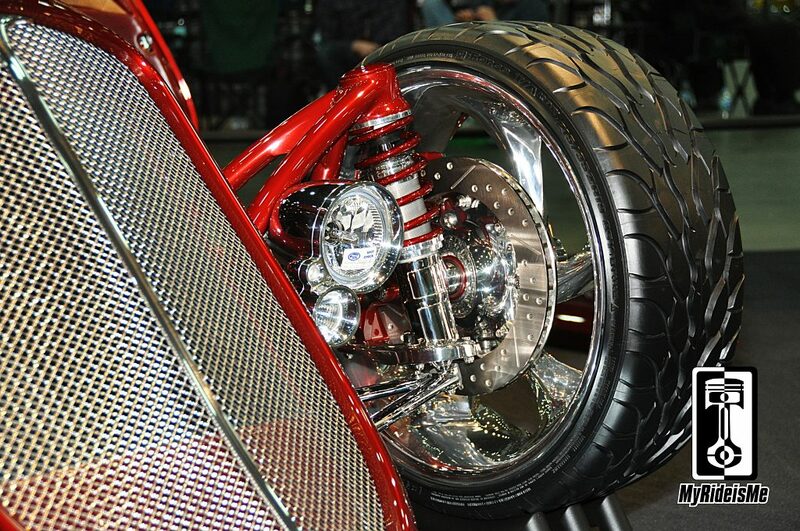 Everything inside the fenders is all custom and hand made to fit the one-off 22’s tucked in. 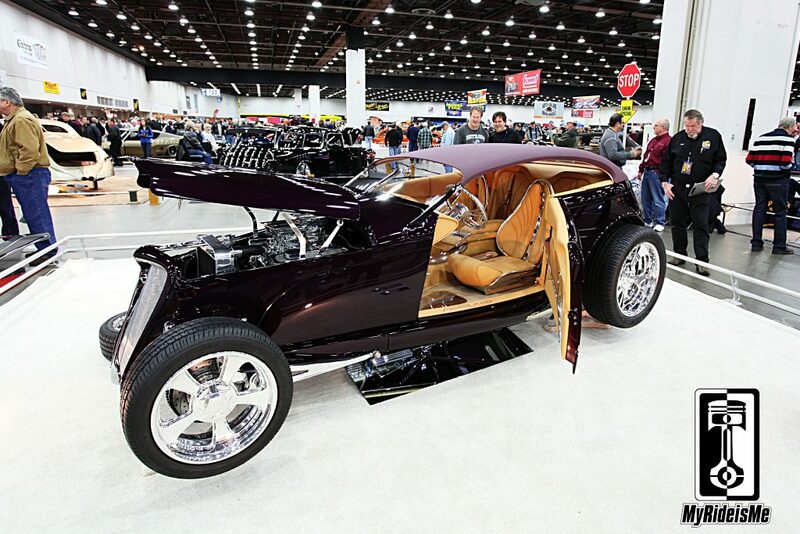 Rounding out the “Great 8” is John Mayer of Berwyn, IL with his 1935 Ford Phaeton. Funny thing is, in talking with John, he never mentioned 1935. As designer and fabricator of tons of parts on the car, especially the interior, John told me the tricks. 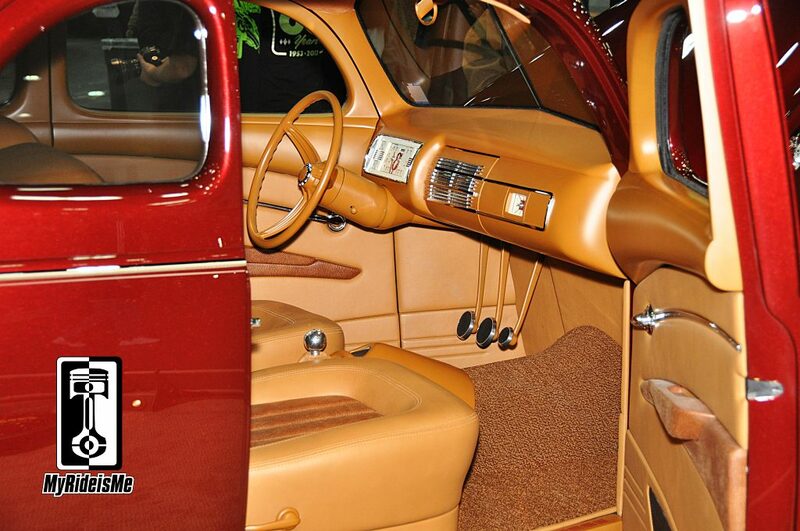 Trick Details: Just about everything on the car’s one-off. 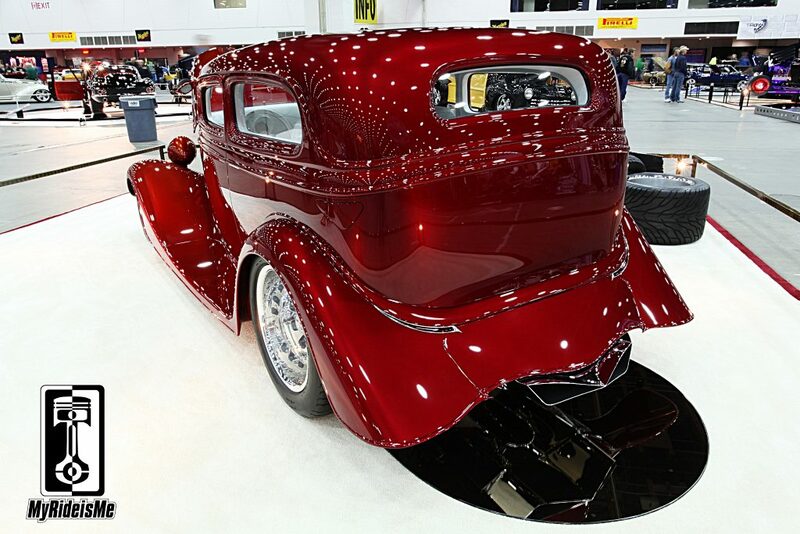 The body was formed starting up front with a 1932 Ford cowl then he used multiple other body parts to make a shell, or working body to make a mold. After, they pulled one glass body from the mold, the one you see here. 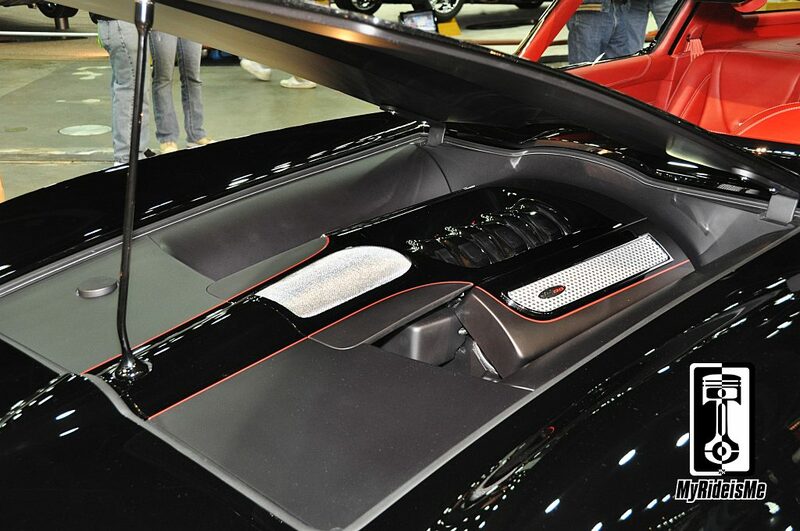 If that trick isn’t enough, hiding under the custom removable hardtop is a working convertible top. John plans to lift off the top and show the convertible tomorrow and I’ll have to grab a few more pictures. Well that’s it! Which one’s your choice? 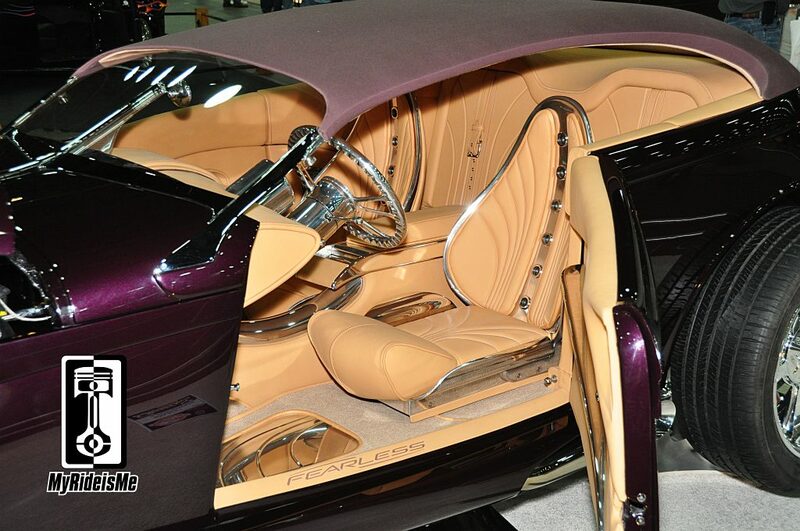 Rules for the Ridler Award are pretty simple: The cars should show: Creativity, Engineering and Workmanship. (What they don’t mention is that the winner typically shows all three of these in a way, most likely, never seen before or done in a way that’ll cause mouths to hit the floor) Just a few other rules, the Ridler contenders must be showing for the very first time and must run, drive and stop in a basic way. The 40 is awesome! Definitely my pick. Is it owner built or is there a shop behind it? Hey Joe, thanks for the comment. No, there’s a shop behind the 40 Ford. i saw a 46 Buick Convertiable in dangerous black that grabbed my eye as a better choise than several of these. Does anyone have information on why it failed? Hi Lester, there were a couple of great black Buicks that didn’t make the Great 8. I have them in my “Best of” event gallery pictures. the 56 Buick is my pick !! Troy is doing some of the best work out there right now…lots of detail…. 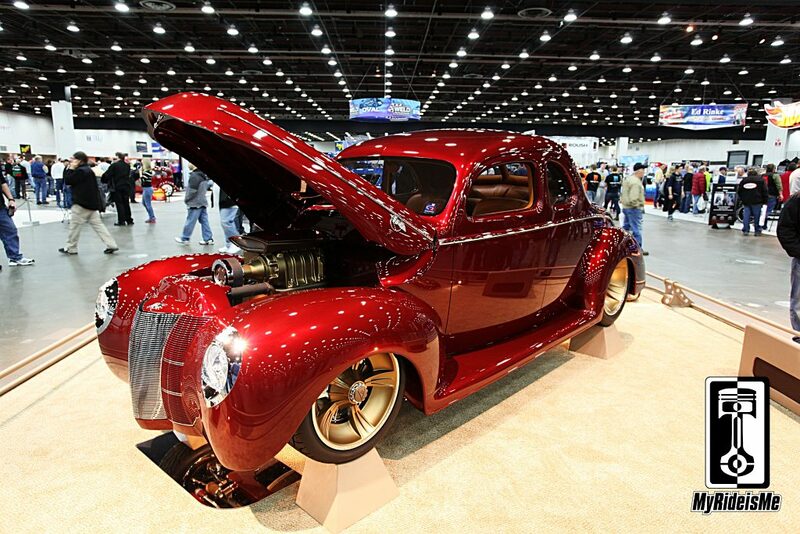 beautiful color..
im a 40 ford man-coupe is my pick -all are good!! The 72 truck is amazing. First off, Pikesan THANKS FOR THE PICS!!! I await every year like a little kid at Christmas for the Ridler contenders, I cant get enough of this stuff!! Just like every year some killer cars (and trucks) going for the title. 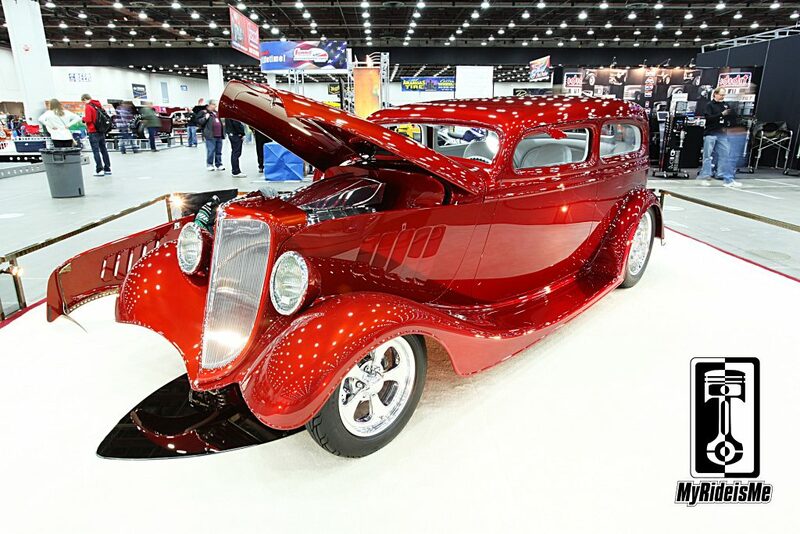 Definitely some standouts in my mind, always interesting to see who ends up taking it home but if I had to guess and who is going to take this years title I guess I would have to say that ’40 Ford Coupe…. (Love the wheels, flathead, blown flathead, paint is out of this world, love the gloss and matte finishes working together, overall design and execution top notch). Close second would be the Rad Rides Buick (overall design, fit and finish are outstanding, just not as innovative and original enough to take the crown I feel, having already built that 300 Chrysler and the AMG Buick in prior years, it just has a taste of the already been done somewhat… for me at least, and the interior looks to be lacking a tad compared to the others). 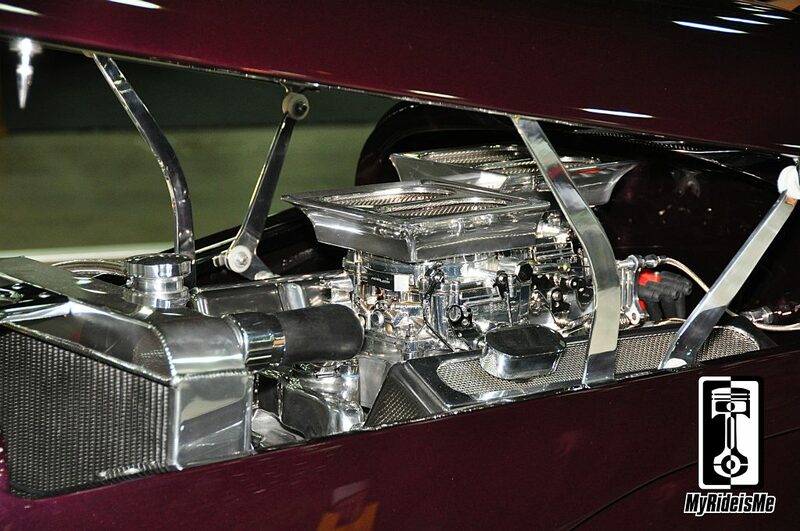 And the 57 Chevy Pickup (engine compartment and interior are amazing). Right on Ryan! Glad you like the pictures. Chris Voyles and I were up late processing to get everything online and with the details, I would want so I hope that’s what other folks would enjoy. Much more to come from the show! 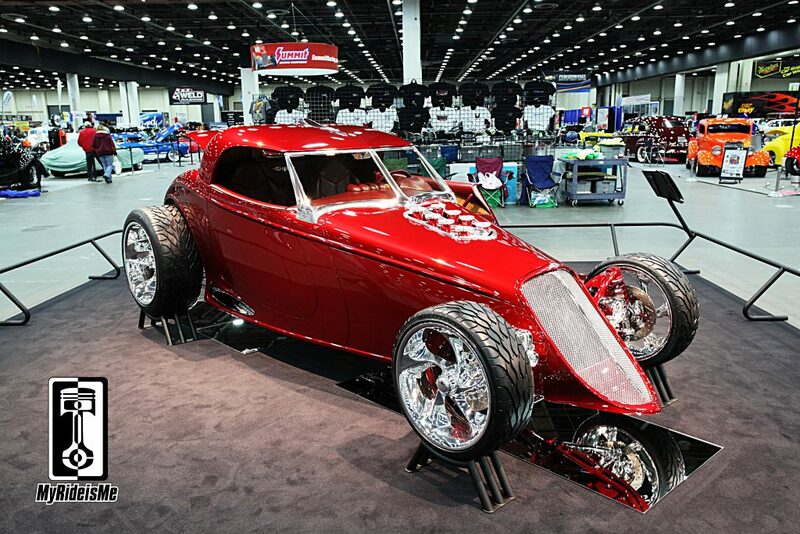 I assume that most if not all Great 8 picks and the rest of the Ridler contenders are built by high end shops with several guys on hand performing their specialties, and the owners have a budget with no limit, spending WAAAAAAY more than most of us homebuilt guys would even think about spending. However, I don’t mean to take away from these masterpieces and they are always a pleasure to view. 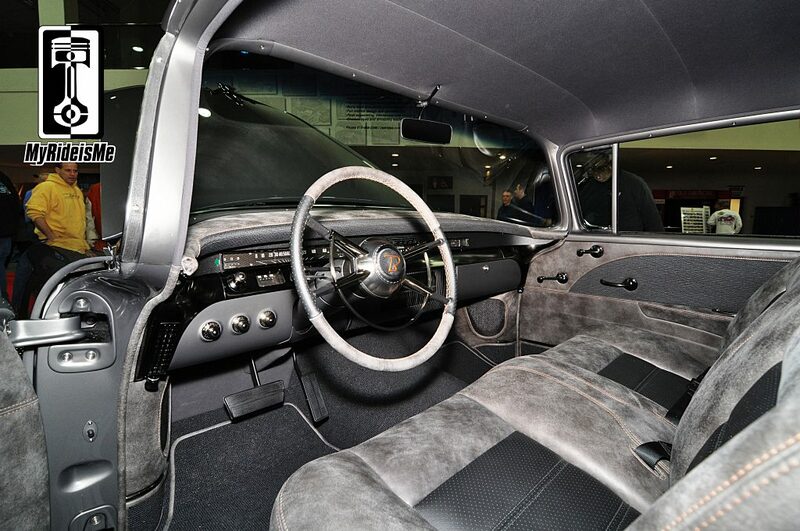 Love the 56 Buick. Thanks for the gorgeous pics! Bobby Anderson built 34 Ford owned by Kenny and Lynn Seresun of Sedona, AZ is my choice! Absolutely a well executed handmade car. 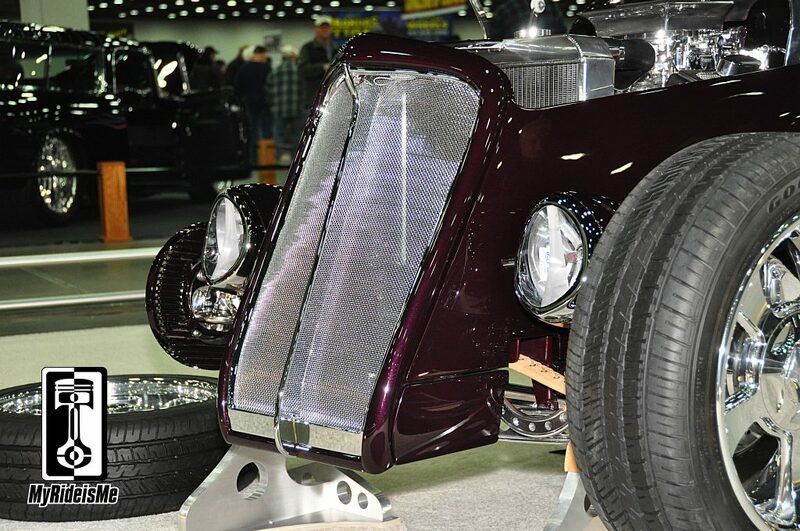 There are so many details on this that could easily be missed; the lined fenders, retractable plate, and just the lines on this car speak for themselves. If I made a list it would be huge. This car is probably 95% all handmade. Job well Done! 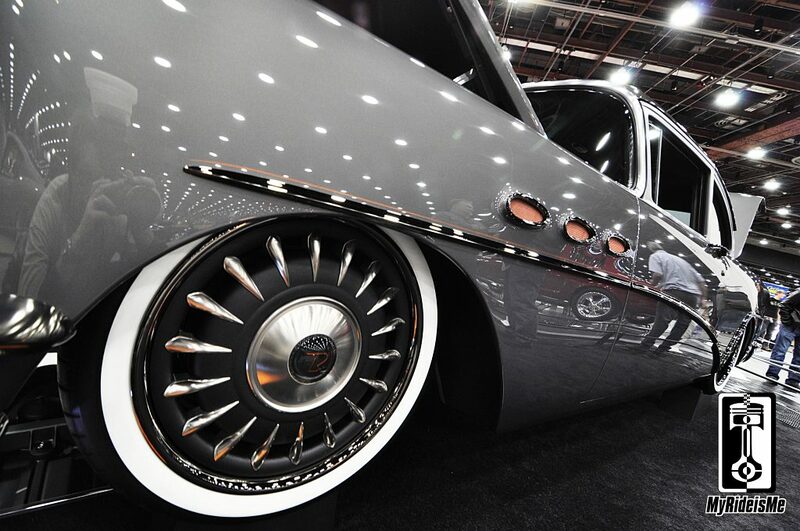 I’m diggin on the outrageous 56 Buick, but thinking if it had different wheels it may have got the big prize. They just don’t flow with the rest of the beautiful design. Saw different pics of this car and the mods are out of sight. The Troy man can sure build ’em! Lester… I saw the Buick you’re talking about and it was beautiful, but perhaps the undercarriage, engine compartment, fit finish etc. were not quite up to the standards for the Great 8. They do have some very stringent rules. Ok…gotcha. And BTW thanks for the pics…really appreciate it. ??? How the heck do i get my car on here??? Hi Dan, on where? In a story at MyRideisMe.com? Or do you want to JOIN US as a member and post your own pictures? Big thanks for all those amazing pictures! My vote goes to the absolutely gorgeous twosome- 40 Ford Coupe and 72 Chevy Pickup…and kudos to bobby Anderson for that 34 Ford…unimaginable! 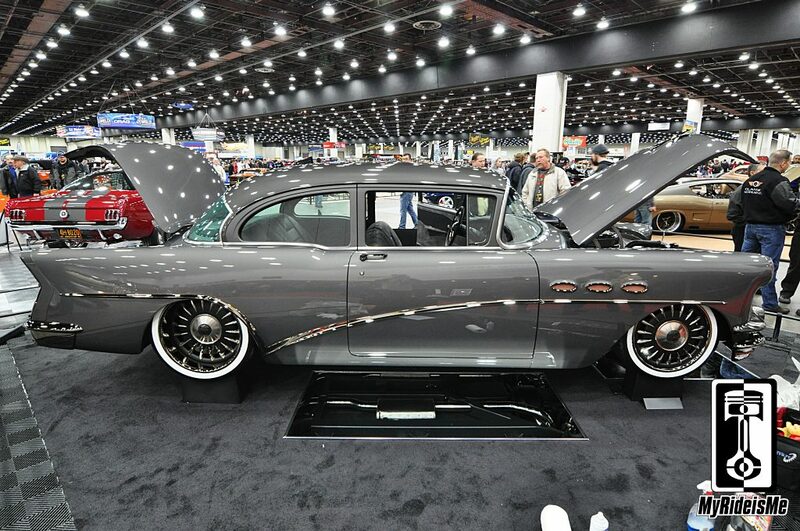 My vote would be the 56 Buick by Rad Rides…that car is a thing of beauty. 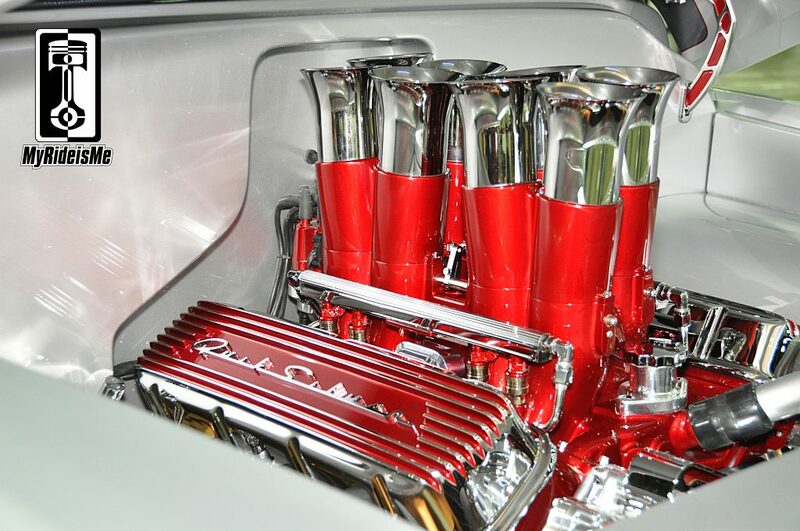 I could probably grab a few beers and set up a lawn chair next to the car to admire that engine bay for a few hours. The whole car is a work of art in my opinion. Recently became the 4th owner of a 1934 Chevy built by Bobby Anderson back in the 90’s. The car is still as solid as it was back then. All the car needs is updated interior, wheels and tires and will be ready to show.